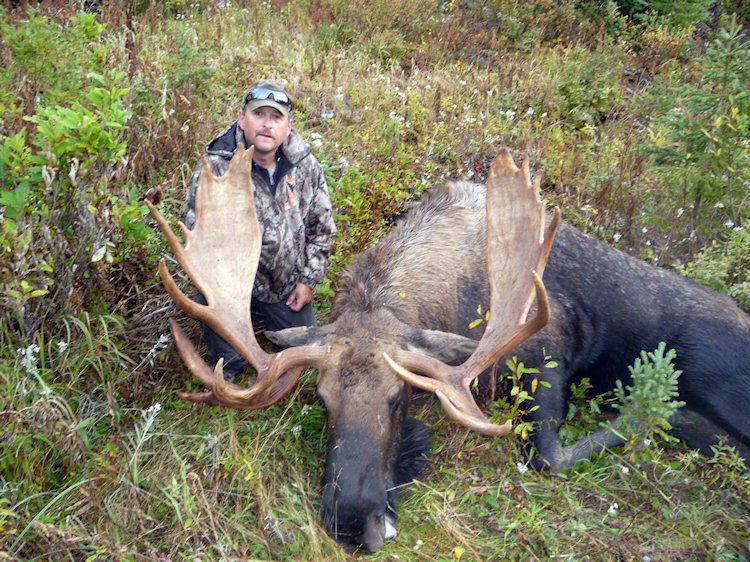 Robson Valley Outfitters is a premium destination for Canadian Moose. 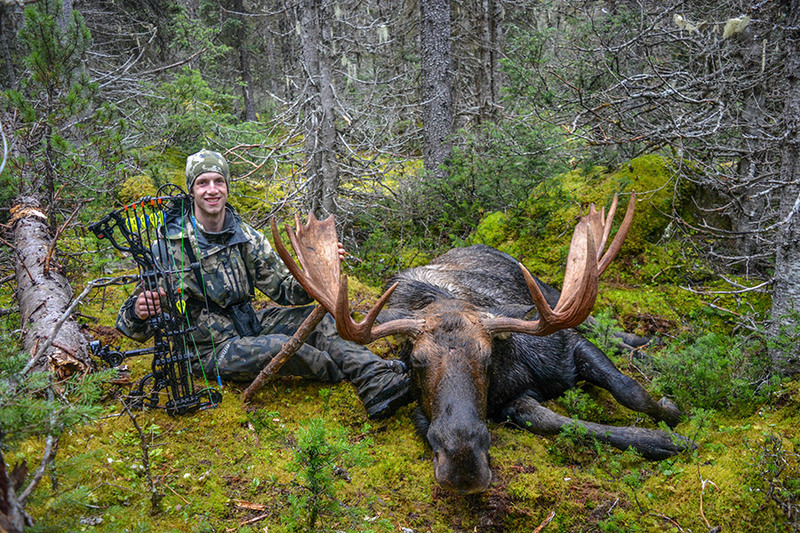 High moose densities and remote populations that rarely get hunted allow the bulls to reach their full potential. Average mature bulls are 40”-50” with the occasional bull surpassing the 55” mark. Getting one of these trophy bulls to respond to your calls and then slowly work his way towards you looking for a fight is truly an amazing experience and the memory of the hunt will be with you forever. 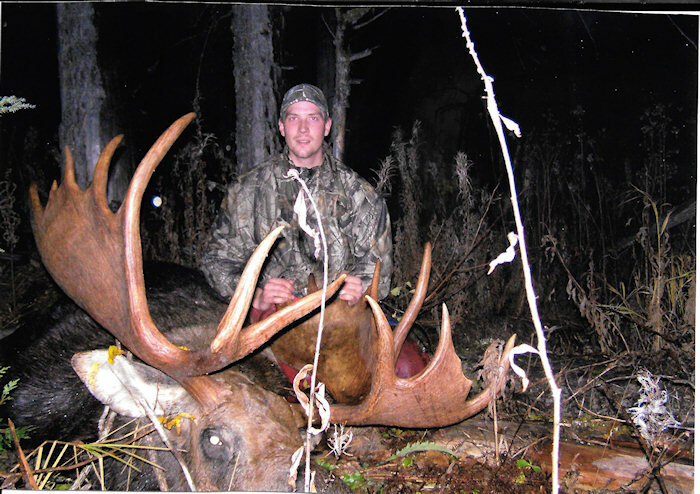 Rut hunts start in mid-September and hunters may choose a variety of hunting methods depending on preference. Riverboat and 4X4 hunts are 7 day hunts returning to the comforts of base camp each night. For the hunter that loves the wilderness and hopes to find a bull that may have never seen a human then a horseback hunt is a great option. 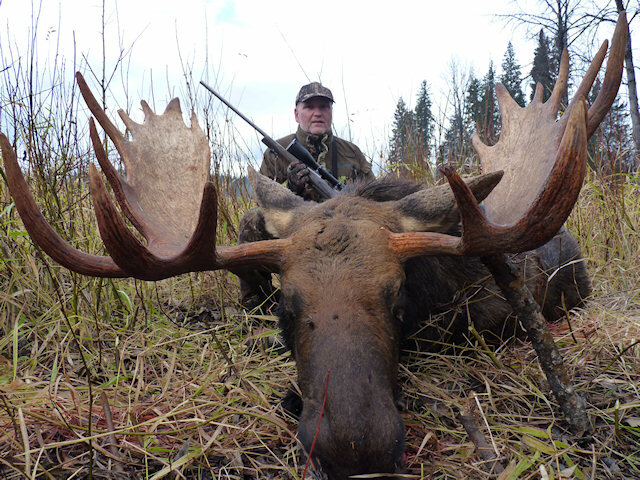 At this time of year moose can be hunted in combination with many other species including black bear, grizzly bear, mountain goat, wolf and last but not least elk. 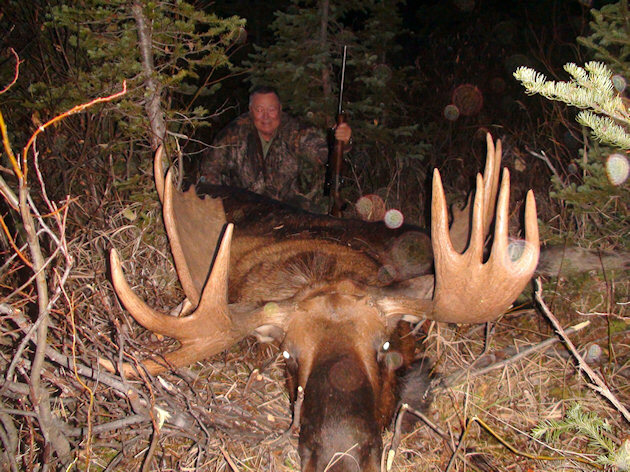 The elk rut is on virtually the same time as the moose rut which can offer one of the most exciting combination hunts in North America! In mid-October after weeks of fighting and breeding, bulls are exhausted and seem to virtually vanish from the wilderness. In truth they are resting in the darkest corners of the forest and around Halloween they wake up and begin intensely feeding trying to replace fat reserves lost during the rut. 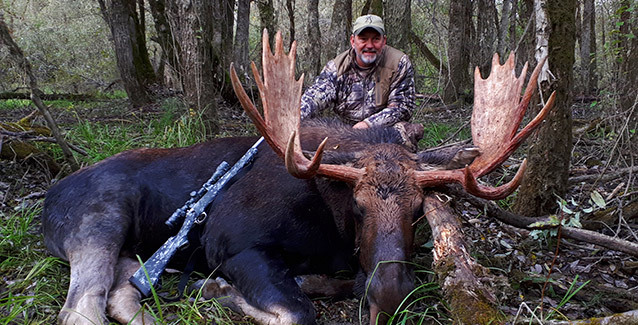 This last week of the season is another great time to be hunting Canadian Moose.